Join the Grandmothers, contact your politician or come to an event. Explore refugee issues, helpful resources and links to other organisations. Keep up to date with the latest news regarding refugee children on Nauru on our News Blog. Find out about our events throughout Sydney and surrounds. 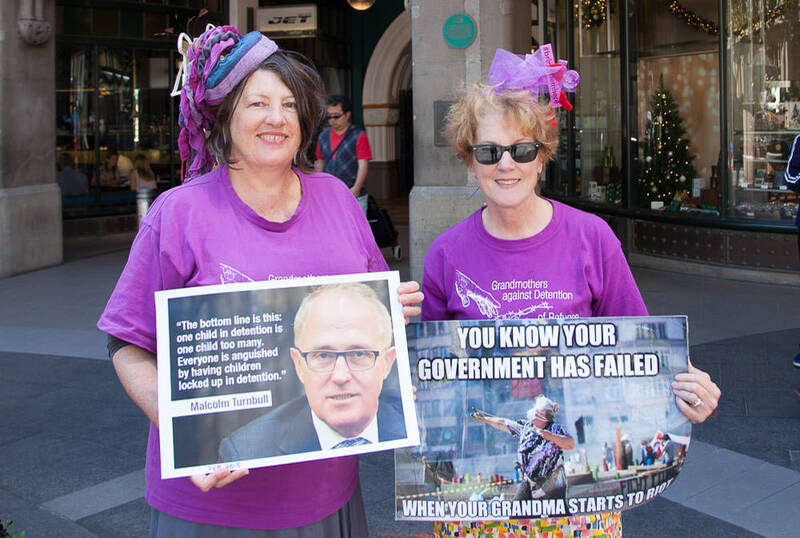 Grandmothers take every opportunity to raise public awareness about refugee children in detention. Get in touch or ask us about the Grandmothers Against Detention of Refugee Children.